David Brody, a 14-year veteran reporter of the Christian Broadcasting Network, says Trump’s combative stance with the press is a battle of wills. “We all are in search of the truth; that’s what good journalists do, but when does the search for the truth turn into, ‘gotcha agenda-driven journalism?’” wonders Brody. Author of the 2012 book, The Teavangelicals: The Inside Story of How the Evangelicals and the Tea Party Are Taking Back America, Brody’s reporting can be seen on programs ranging from The 700 Club to MSNBC. But he can most often be found on Brody File, his 10-year-old blog. When asked what one word best describes Trump’s approach with the media, Brody gave us three: “In your face.” –C.A. 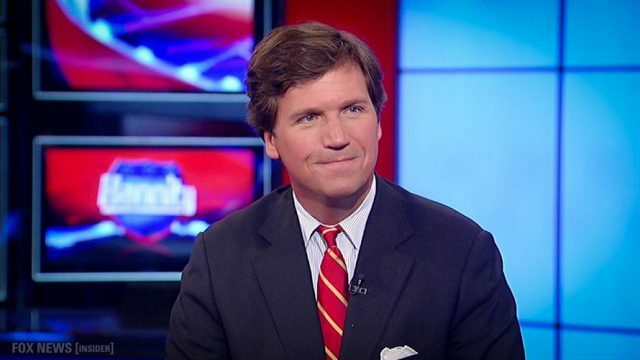 Carlson, who has done the cable news trifecta, hosting shows on CNN, MSNBC and now Fox News, took over Megyn Kelly’s coveted time slot when she left for NBC News earlier this year. His show is now delivering much higher ratings than what Kelly was delivering a year ago, and from an advertising standpoint, appears to be generating a significant amount of revenue for the network. The reason for his recent success? Carlson believes that many in the media still aren’t sure how to cover Trump. “They’re sort of thinking about using a template from 2004, and that’s just out of date at this point,” Carlson says. “Trump sees himself not just as the subject of media coverage, but also as a player in it,” he adds. “He just has a total lack of interest in precedent, and that makes people in Washington uneasy.” In many ways, just like Carlson himself. –A.K. The article, which argued that the U.S. president is engaged in a “deliberate attempt to destabilize journalism as a check on the power of government,” quickly became one of the internet’s buzziest political think pieces—not just because it was an excellent piece of writing, but because it had been published in Teen Vogue. The reporter who brought the world the infamous Billy Bush-Donald Trump Access Hollywood tape pines for the day he can return to covering the morass of the federal government. 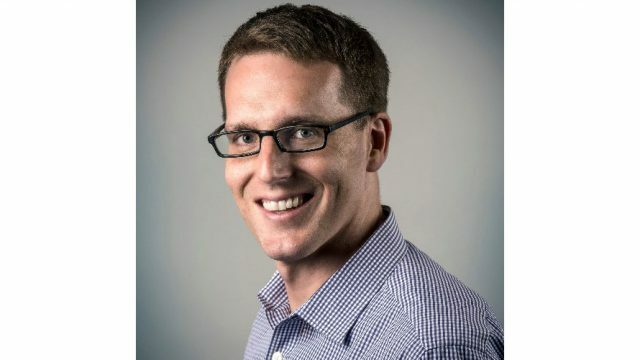 “I never had as much fun as I did in 2013 and 2014, writing about things like the national raisin reserve and the government’s underground paperwork dungeon outside Pittsburgh,” says Fahrenthold, who, for now, is part of a Washington Post team covering Trump’s potential conflicts of interest. Knowing that his brand of investigative reporting comes with certain risk, Fahrenthold, a father of two, says he’s taken the appropriate precautions. “I have taken a few steps to improve both my physical security and cyber security, on the advice of the Post and journalism groups,” he notes. Fahrenthold, a Post lifer who joined the paper in 2000 as a summer intern, doesn’t expect the Trump well to run dry anytime soon. “I don’t think we’ve ever had a presidential administration where decision-making was so driven by news coverage, and where so many lower-level federal employees apparently see leaks as the fastest way to influence the commander in chief.” –C.A. 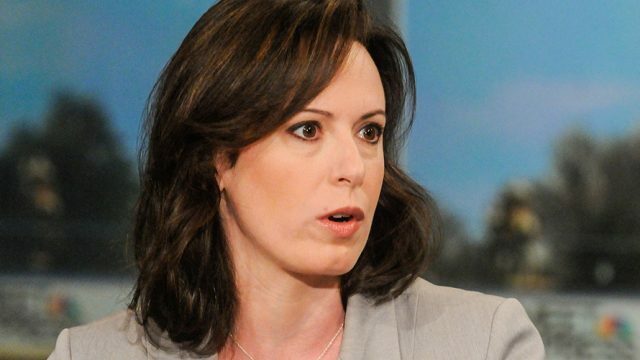 By most measures, Maggie Haberman is a baller. A deeply sourced, dogged reporter, her stories for The New York Times brought more than 141 million page views to NYTimes.com last year—more than any other reporter at the Gray Lady. In the two and a half months since Trump took office, Haberman has continued to break stories from inside the White House at a rapid clip. When asked how she plans to decompress from the nonstop coverage of Trump’s first 100 days, she quipped, “Can I get back to you on that on day 101?” –C.A. While Jones has attempted to clarify those comments in recent weeks, explaining on The View that he wasn’t referring to all Trump voters, just “the alt-right and the neo-Nazis who were celebrating,” they ignited a social storm that significantly raised Jones’ profile–for better or for worse, depending on which side of the political divide viewers fell. In addition to being a Yale Law graduate and longtime activist—he founded a number of not-for-profits engaged in social justice, including job accelerator Dream Corps—Jones had a stint as host of CNN’s rebooted Crossfire in 2013 before establishing himself as one of the network’s go-to progressive political analysts and host of his own show, The Messy Truth. 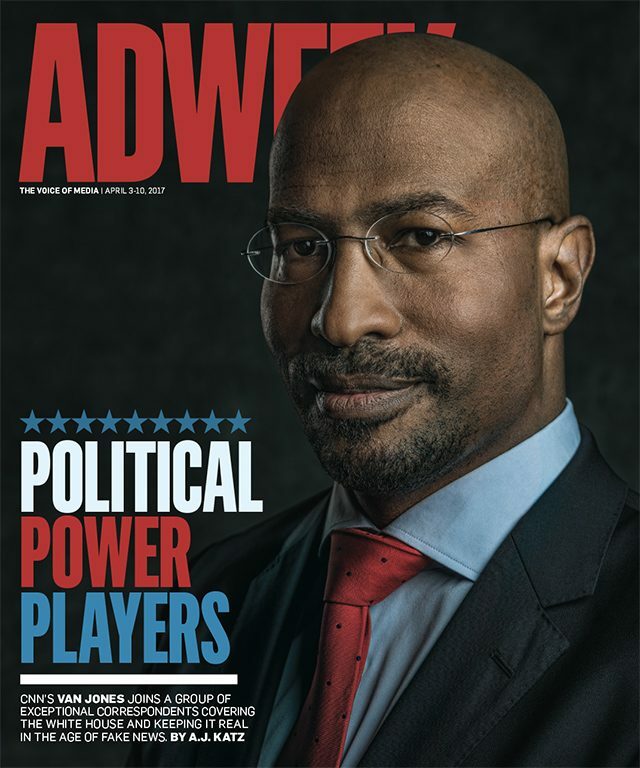 Here, Jones talks about his role as a commentator navigating the uncharted political waters and how the media is faring in the age of fake news and partisan politics. Rachel Maddow’s scoop last month, in which she revealed Trump’s 2005 tax returns, brought both congratulations and condemnation. It was lauded for revealing a highly sought-after document but also pilloried for taking viewers along for a conspiratorial ride to the finish line—all to big ratings. Maddow’s audience has steadily grown since Trump’s inauguration. She had her best month in February since December 2012 and had the most-watched cable news show for three straight weeks in March in the coveted 25-54 demo. Maddow often spends the first 17 minutes of her show doing a deep dive into her topic du jour. These days, that generally means Trump. That she can command the attention of the often attention-challenged cable news viewer is a feat in itself. She calls it the “hallmark” of her show. As she has become one of Trump’s biggest critics, Maddow says she is eager to see if he can be a president who affects positive change for all Americans. “Always hopeful,” she says. “Not naive, but yes, still hopeful.” –C.A. Julie Pace is no stranger to covering presidential administrations. She joined the AP in 2007 as a White House reporter, and in 2013 became the AP’s chief White House correspondent. To Pace, the current level of chaos and confusion is not unique; the biggest change with Trump, she says, is the speed. “It’s an exhausting and motivating time to be a political journalist,” explains Pace, who joined the AP from the Tampa Tribune. There are “no slow days,” and also not a lot of sleep. “As a reporter, it’s important to try and be as rock solid as we can with facts,” she adds. Among her greatest hits this past year were her analysis and coverage of Trump’s travel bans and her reporting on his accusations of former President Barack Obama wiretapping Trump Tower. 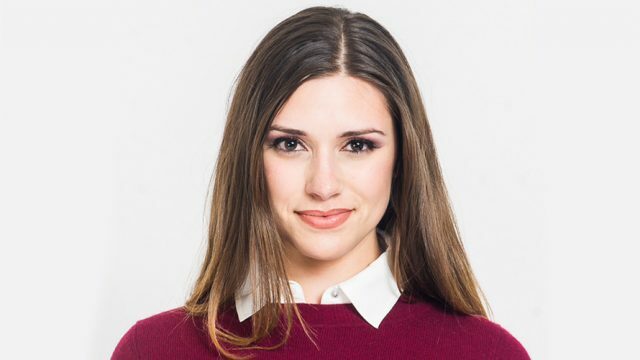 Tara Palmeri’s road to the White House was a circuitous one, ranging from gossip columnist in New York to international affairs reporter in Brussels. So, how did she get to 1600 Pennsylvania Avenue? “Be scrappy. Trust your instincts. Don’t follow the pack. 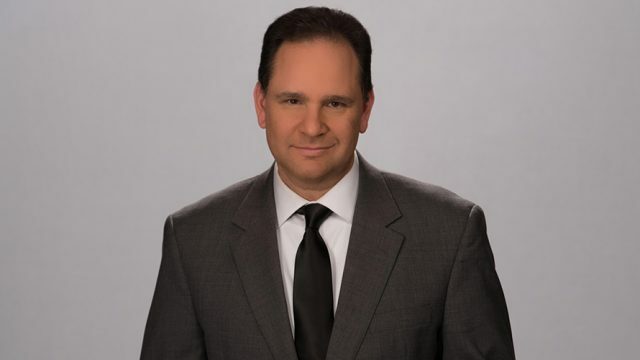 Strike first,” notes Palmeri, who has had stops at CNN, the Washington Examiner, Page Six and Politico Europe. The New York native says the New York Post was “great training” for covering Trump. “The president has a strong appreciation for the paper that speaks in his populist voice. Working at Page Six has helped me understand President Trump because I worked firsthand with the media he prefers to consume,” she says. Palmeri often ran into real estate mogul Trump on the New York gossip beat “when he had to angle for press,” she recalls. She sees similarities between her coverage of Brexit, while based in Brussels for Politico, and her current experience at the White House. “A ‘drain the swamp’ mentality exists beyond American shores,” she notes. “Voters are frustrated with consensus. It’s been thrilling to cover the disruption from both sides of the Atlantic. The languages and cultures are different, but the general angst against elites is the same.” –C.A. 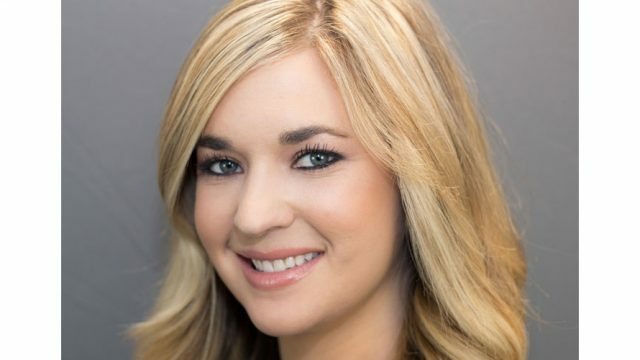 Katie Pavlich readily admits that her political coverage can lean to the right, and she freely encourages fellow reporters to acknowledge their biases in hopes of regaining the trust of many Americans. “I think admitting my bias, which we all have, makes me more honest than people who have a clear bent who claim to be objective,” says Pavlich. Pavlich, who is also a Fox News contributor, tries to avoid “getting sucked into the 24-hour news cycle with a president who doesn’t seem to sleep and tweets at 5 a.m.,” she says. And while she’s as concerned as her colleagues about Trump’s disdain for so-called “fake news,” she’s more preoccupied with whom Trump hasn’t called out. “I do wish President Trump would condemn Putin, who has journalists that disagree with him assassinated,” she remarks, adding, “Obama’s administration prosecuted more journalists with the Espionage Act than any other previous president.” –S.M. Just three months into 2017, American Urban Radio Networks’ White House correspondent and bureau chief April Ryan has already had quite an eventful year. With 20 years experience covering D.C. politics and presidents going back to Bill Clinton, Ryan has mastered how to “keep peeling the onion back” to fully examine each story. In addition to covering the White House, she hosts the White House Report, which is broadcast to AURN’s 475 stations and on Monday Ryan was named a CNN political analyst. Ryan believes that although faith in the media is on the decline, readers, listeners and viewers still know whom to trust. “When it comes time to find out what’s really going on, they always come back to us,” she says. –S.M. 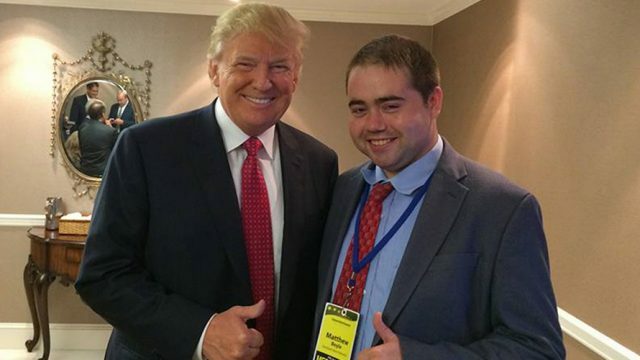 The Brooklyn, N.Y., native credits his five years at Newsday, where he worked as a City Hall reporter, for prepping him to cover Trump’s presidency. “Covering Ed Koch and Rudy Giuliani provided the best preparation for Trump, who really emulates their style. 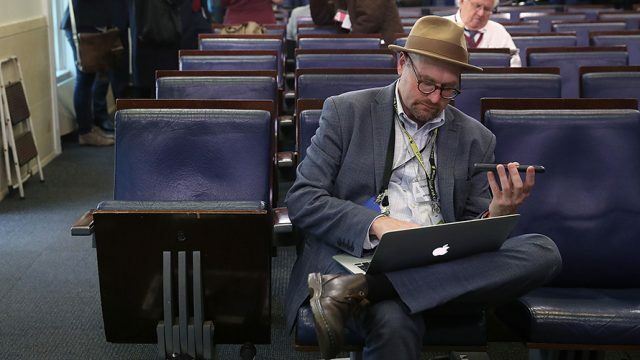 The interactions we have with Trump have much more in common with a mayoral performance than it does with presidential performances,” says Thrush, who joined the Times in January after eight years at Politico, where he served as chief political correspondent. His tense interactions with White House press secretary Sean Spicer during early briefings were immortalized in Saturday Night Live’s best sketches of the season, in which Melissa McCarthy’s Spicer openly loathed Bobby Moynihan’s Thrush (“Glenn Thrush, New York Times, booo! Go ahead …”). Vega’s move to Washington comes after she logged nearly 240,000 miles in the past two years, pressing Democrats Hillary Clinton and Bernie Sanders for answers in their bids for the White House. Early in her career, Vega worked for the San Francisco Chronicle before transitioning to local news at ABC Bay Area affiliate KGO-TV. Three years later, in 2011, the network called and she joined ABC News as a correspondent based in Los Angeles. 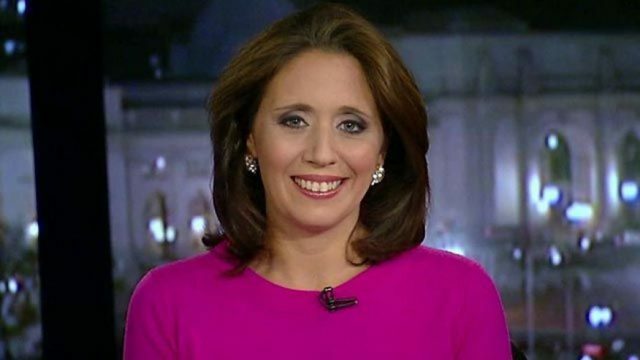 Fast-forward to 2015, Vega was named anchor of World News Tonight Saturday and held that role until this past January when she was named ABC News senior White House correspondent. As for the next generation of political journalists, those watching how the Trump administration works, Vega has some advice: “The president’s position on the press shouldn’t have any impact on how we go about doing our jobs,” she notes. “It’s not us versus them. It’s about getting answers. So my advice is: just do the job. Don’t get distracted.”–C.A. This story first appeared in the April 3, 2017, issue of Adweek magazine. Click here to subscribe.